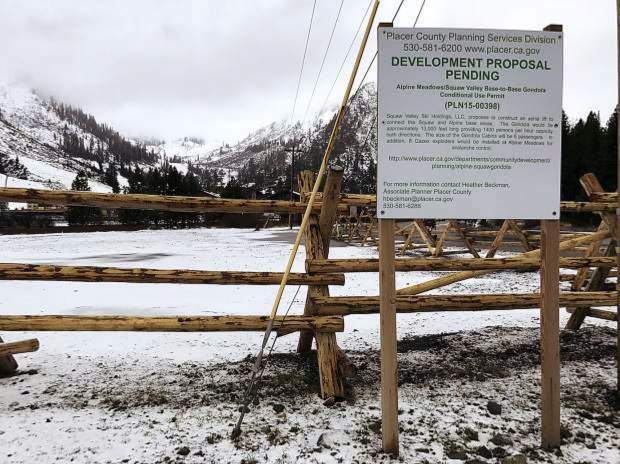 Battle lines have been drawn in court cases and public hearings over a pair of Squaw Valley projects, including a 25-year village redevelopment plan, approved in November 2016 by Placer County, and a planned gondola project that would link Squaw Valley to Alpine Meadows. 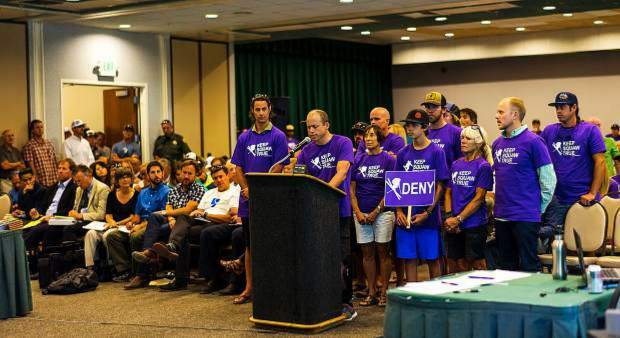 Opponents, wearing purple "Keep Squaw True" T-shirts, of Squaw Valley's village redevelopment plan made their case before the Placer County Board of Supervisors, which approved the project by a 4-1 vote in November 2016. The project is the subject of two lawsuits filed by Sierra Watch. A sign is posted announcing the pending development plans at Squaw Valley. Sierra Watch’s attorneys argue Placer County fell well short of fully analyzing the impacts of Squaw Valley’s planned 25-year village redevelopment project, particularly when it comes to fire safety, traffic and resulting environmental effects on the Lake Tahoe Basin. And the nonprofit organization, which has led an opposition campaign “Keep Squaw True,” recently took that case to court. That lawsuit is one of two filed by Sierra Watch over Placer County’s approval, with another alleging supervisors violated California’s Brown Act. 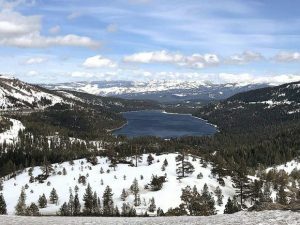 Both cases were argued in courtrooms in May, while another planned project — a gondola linking Squaw Valley and Alpine Meadows — was also the topic of a public hearing in the past week. Selmi and fellow Sierra Watch attorneys outlined what they deemed as deficits in the meeting requirements under the California Environmental Quality Act, arguing Placer County approved the project despite failing to consider the full impact on the region and its residents through a thorough analysis. 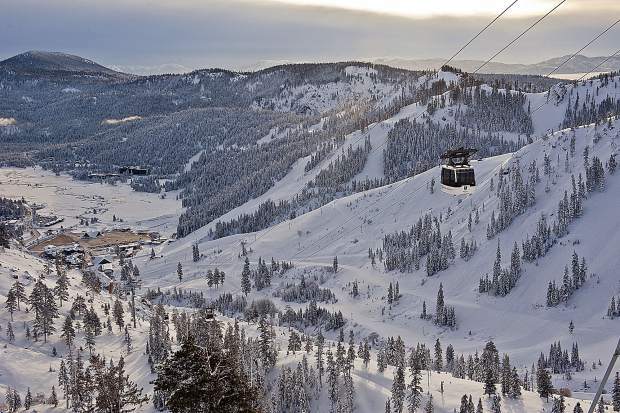 Whit Manley, representing Squaw Valley, said the project’s environmental impact report met all requirements, and that Squaw Valley went beyond its obligation under law to mitigate the impacts identified. But it’s no surprise Sierra Watch isn’t satisfied by the report, saying the organization doesn’t seem to recognize efforts to mitigate issues outlined, which has included scaling back the scope of the project from 1,877 residential units to 1,295 in 2011, and then again to the 850 units eventually approved. The project’s environmental impact report raised more questions than it answered, said Amy Bricker, a Sierra Watch attorney who addressed impacts on fire safety with added traffic to evacuation routes, already estimated to take several hours to move everyone out of the area. 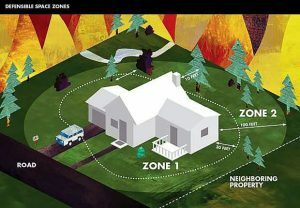 She said while a “shelter in place” approach discussed in the report might provide safety to some, it doesn’t fully consider the project’s impact on a site designated a very high Fire Hazard Severity Zone. Each side now awaits word on the judge’s ruling, which could take up to 90 days from the May 25 hearing on the matter (See this story at SierraSun.com for copies of all court filings in the cases). A separate suit filed by Sierra Watch alleging Placer County’s supervisors violated California’s Brown Act by not properly notifying the public in entering what it describes as an “11th-hour agreement” by the Squaw Valley to pay a Tahoe Regional Planning Association Air Quality Mitigation Fee. Sierra Watch said a memo on the agreement was not available to the public within 72 hours of a Nov. 15, 2016 meeting where the project was approved by supervisors. The memo wasn’t emailed to the Board of Supervisors until 5:36 p.m. Nov. 14. A copy of the memo was placed at the Clerk of the Board of Supervisors Office in Auburn, meaning the document was not available to the public prior to the meeting during the next day’s normal business hours. Isaac Silverman, a Sierra Watch attorney, said the organization won’t comment on the matter until a final ruling is made. Clayton Cook, deputy county counsel, said Placer County has been clear it did not violate the law in reaching the agreement. Contact Editor Brian Hamilton at bhamilton@sierrasun.com or 530-477-4249.